If you’ve ever worked in a bar or a commercial kitchen, you know that you need absorbent bar towels to get through a busy day. Wouldn’t it be great if you could find colored or white bar towels at low bulk pricing? At Towel Super Center, you can! Whether you are running a busy restaurant or cooking dinner for your family, every kitchen can benefit from a stack of bar towels. You'll use these essential and versatile kitchen tools for anything from cleaning tables to preventing burns from hot pans. Highly absorbent and efficient, bar mop towels are more than just your average kitchen towel. Read on to learn about the many uses of bar towels and how to keep your bar towels fresh and clean to use over and over again. Bar mops are super-absorbent and highly durable towels. Typically made of cotton, terry cloth bar towels have small loops woven into the fabric, with dense fibers that make them much more absorbent than everyday dish towels. Bar mops, also called bar towels, are solid white or white with a colored stripe, so they are easy to clean and provide a uniform look. Wash these strong towels with heavy-duty sanitizer or bleach to remove all dirt and stains between uses and leave them sparkling white. Bar mops are a heavy-duty kitchen tool bartenders, cooks, expediters, bussers and servers use every shift. Compared to an average kitchen towel, bar mops are smaller, stronger and longer-lasting. While kitchen towels come in a variety of colors and fun patterns, bar mops are stark white for easy cleaning. Bar mops are typically smaller than a rectangular dish towel, making them easier to grab for quickly wiping counters without extra fabric getting in the way. While both bar mops and kitchen towels are available in cotton, terrycloth bar mops are incredibly absorbent and much more durable than kitchen dish towels. Perhaps the biggest difference between bar mops and kitchen towels is their usage. While dish towels usually stay fairly clean and get hung up neatly after use, bar mops are for people to use fearlessly for any messy, wet or high-heat task without worry that they will get burned or ruined. Bar mops are available in bulk to be tossed in the wash whenever they get dirty. Cotton bar mops are a tool for high-traffic kitchens and a staple of every restaurant, from large chain restaurants to small local bistros. However, that does not mean bar towels are only for commercial kitchens. Cotton bar mops can be the perfect addition to home kitchens when cooking for a large family or testing your foodie skills. The efficiency and strength of bar mops make them a perfect alternative to wasteful paper towels or thinner kitchen rags. Despite their name, bar mops are not only for bartenders to casually wipe down the bar while chatting with customers, but are an indispensable tool for all restaurant staff. Chefs use durable bar mops to protect themselves while cooking and keep their stations clean, while expediters rely on a clean bar mop to perfect each plate before it gets served. As a powerful cleaning tool, bar mops save time that would normally be wasted rinsing knives between ingredients or searching for a hot pad. Servers and bussers also keep a stack of bar mops on hand to maintain the spotlessness of tables and clean up spills quickly. Small and efficient bar mops are easy to tuck into an apron pocket, so one is always within reach. While the uses of bar mops in a restaurant are nearly endless, here are some critical functions of bar mops that keep a restaurant running smoothly. Cleaning cutting boards: When chopping and dicing ingredient after ingredient, cutting boards can soon become cluttered with onion skins, carrot tops and other food scraps. A dry bar mop is perfect for quickly sweeping debris off a cutting board and into the trash. For stickier foods like garlic, a damp bar towel will easily wipe the cutting board clean. Wiping knives: Instead of running to the sink to rinse a knife while chopping, a bar mop can remove crumbs, juice or seeds from the blade between ingredients. By keeping a bar mop folded beside the cutting board, chefs can easily run the blade against it to keep it clean throughout the shift. Adding stability: In a busy kitchen, speed is essential, but chopping foods quickly can be dangerous on a slippery surface. Placing a damp bar mop underneath a cutting board prevents it from shifting. Wrap round, slick foods like watermelon or squash in a bar towel for extra stability, so they do not roll while they get chopped. These small precautions can have significant benefits for the safety of cooks when using sharp knives. Grabbing hot pans: From saucepans to cast irons to baking sheets, chefs work with a lot of hot objects. Bar mops can double as hot pads to pull pans from the oven or grab hot handles on the stove. A sturdy bar towel will protect against burns and fit conveniently in a chef's apron for easy access whenever it is necessary. Removing hot lids: When pulling lids off pans, things can get a little steamy. Grabbing a hot lid with a bar towel protects hands from burns or splatters from a simmering sauce or boiling pot of water. Wringing out moisture: Instead of going through dozens of paper towels, wrap a bar mop around shredded potatoes or cooked spinach to squeeze out excess moisture. Bar mops can also substitute for a salad spinner to gently dry lettuce or greens. Cleaning plates before presentation: In fine dining establishments where presentation is critical, expediters use bar mops to wipe the soup splatters or stray sauce off the edge of the dish before it heads out to the floor. Carrying hot plates: When dishes come piping hot from the oven, plates or bowls can be too hot for servers to carry. The durability of bar towels protects servers' fingers when carrying hot items to customers, while the shimmering white of a clean bar towel makes the presentation of the dish look professional and attractive. Cleaning tables and chairs: In a busy restaurant, tables must get flipped quickly between diners so new customers can get seated. Bar mops can wipe crumbs away and sanitize tables and chairs, so they are fresh and clean for the next diners. Polishing silverware and plates: After clean silverware and plates come out of the dishwasher, a damp bar mop is perfect for removing any soapy residue and polishing them until they shine. Cleaning up spills: In every area of a restaurant, spills are bound to happen. Cooks spill sauces as they rush around the kitchen, and customers knock over drinks or squirt ketchup off their plate. Having a stack of highly absorbent bar towels on hand allows staff to tackle spills quickly, no matter how big they are. Wiping the bar: And finally, the namesake function of the bar mop — mopping the bar. As customers come and go, bartenders must quickly wipe away drips and water rings from drinks to keep the bar neat and clean. As the night draws to an end, customers are likely to spill sticky drinks, and durable bar towels are strong enough to tackle any mess. Because bar towels are so versatile, a restaurant may go through dozens of them in a single dinner service. Keeping these towels clean is essential to maintain a sanitary and safe restaurant. When wiping surfaces that come into contact with food, it's necessary to use the proper sanitizer and to keep towels separate to avoid cross-contamination. The wet and warm environment of a kitchen can cause bacteria to grow on towels and make customers sick if you are careless with your bar towels. Here are a few crucial precautions for taking care of your restaurant bar mops. Have a lot of them: The best way to prevent cross-contamination or improper cleaning of bar towels is to have an abundance of them available. If clean towels are always available, bussers can toss dirty towels in the laundry instead of continuing to wipe tables with a soiled towel because it is the only one left. When chefs have extra towels, they will always have a fresh towel for cleaning their knives and cutting boards. Extra towels are also a necessity in case of a large spill or mess. Keep towels separate: If kitchen staff use towels to clean up raw animal products, they should never re-use them to wipe plates or clean surfaces. Similarly, a towel that gets used with harsh chemicals for cleaning should not get re-used on a food contact surface. Keeping towels used for different purposes separate is essential to prevent cross-contamination. Having both plain white bar mops and bar mops with a colored stripe can be a perfect way to keep towels organized. Use proper sanitizer: Store bar mops for wiping tables and food contact surfaces in a bucket of sanitizer solution for easy cleaning. Maintain the sanitizer at the right temperature and concentration, and change sanitizing towels frequently throughout a shift. Swap any towel with visible stains or debris for a new towel — which is another reason having extra bar towels is essential. 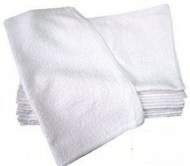 Store towels properly: Keep extra bar towels in a safe and dry area when not in use to protect against contamination. Bar towels should also be easily accessible for all restaurant staff, so a clean bar mop is always there when it is needed. Another essential part of caring for your bar towels is proper washing and sanitizing. Busy restaurants will have piles of dirty bar towels at the end of every shift, so regular washing is necessary to keep your kitchen stocked and sanitary. Here are some tips for washing bar mop towels. Wash bar towels as a separate load: Because they come in contact with food and other heavy-duty messes, always wash bar mops in a load by themselves. Bar towels should have a separate laundry bin that stands apart from chef shirts, aprons, tablecloths and other restaurant linens. Bar mops are made of a different material, so they can get washed on high heat. Towels that have come into contact with food surfaces should not get mixed with clothing or fabrics washed with fabric softener or scented cleaners. Use a hot and heavy-duty cycle: Always wash bar mops on high heat in a heavy-duty cycle. Durable bar mops can take the beating without damage, and high heat kills off all bacteria, ensuring they get thoroughly cleaned. Larger restaurants may choose to send their bar towels to a professional cleaning service for high-quality cleaning and sanitation. Rinse and dry towels before washing: Whenever possible, rinse bar mops and hang them to dry before tossing them in the laundry. When damp towels pile up in the laundry bin, they are more likely to grow bacteria or mildew, especially if they don't get daily washing. Rinse off visible dirt and grime from bar towels before putting them in the wash.
Never use fabric softener: Fabric softener leaves a filmy coating on fabric, which is not ideal for bar towels that come in contact with food and food preparation surfaces. Fabric softener can also prevent towels from being thoroughly sanitized. When using bar towels as a kitchen tool, do not sacrifice durability and cleanliness for a softer feel. Use bleach or another sanitizer: Durable white bar mops are perfect for using with serious sanitizers like bleach to make sure they are spotless. Instead of overdoing it with soapy detergent, use high heat and strong sanitizers to clean towels while helping them last a long time. Bleach will also remove inevitable stains and leave towels sparkling white. Dry bar towels entirely: Put bar towels through the highest-heat dryer setting and ensure they are completely dry before storing them. Towels that get folded or stacked when not entirely dry are the perfect environment for bacteria. High-quality bar mops will be durable enough to withstand repeated wash/dry cycles, so you always have clean bar towels for your restaurant. With good care and washing, your wholesale bar towels will last a long time to tackle messes and keep your restaurant running smoothly and efficiently. 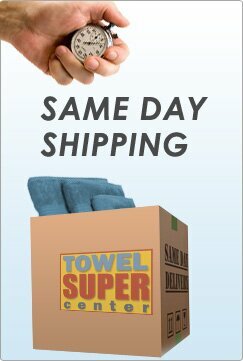 At Towel Supercenter, we offer high-quality bar towels at prices you can't beat. Our versatile and durable bar towels are perfect for every use, from handling hot plates to wiping tables and cleaning counters. 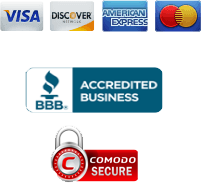 Here are a few benefits you can expect when you buy bar mop towels wholesale from Towel Supercenter. 100 percent cotton: All our bar towels are 100 percent cotton, with tightly looped and dense fibers. These cotton terrycloth bar mops are designed for excellent performance and serious absorbency. Their quality construction means they are long-lasting. Durable and absorbent: Bar mops from Towel Supercenter are highly absorbent to tackle any spill, and tough enough for sticky messes and heavy-duty cleaning. Our towels will keep their shape and size wash after wash, without losing absorbency. Lightweight or heavyweight: Towel Supercenter offers lighter-weight bar towels for faster drying or heavier-weight towels for greater durability. Keep both on hand to be prepared for any mess a busy restaurant can produce. Plain or striped: Towel Supercenter offers both bright white and colored striped bar towels, so it is simple to keep towels separated to avoid cross-contamination. Affordable pricing: Wholesale bar mops from Towel Supercenter are affordable, so you can save money on this kitchen essential. The more towels you buy, the more you save, making it easy to fully stock your restaurant so you never run out of bar towels. When you need bulk towels at a discounted price for your upscale restaurant or local cafe, Towel Supercenter is the perfect source for quality bar towels for every kitchen. 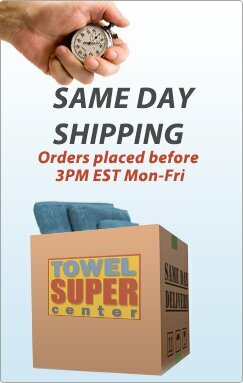 Order your wholesale bar towels from Towel Supercenter today.